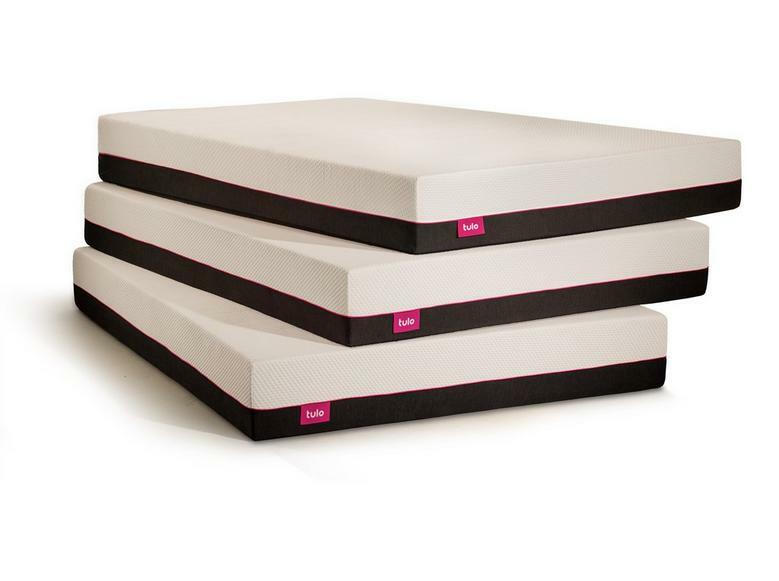 Get the Mattress FREE with base. Click the link below. This new Yaasa mattress comes FREE with purchase of the base. 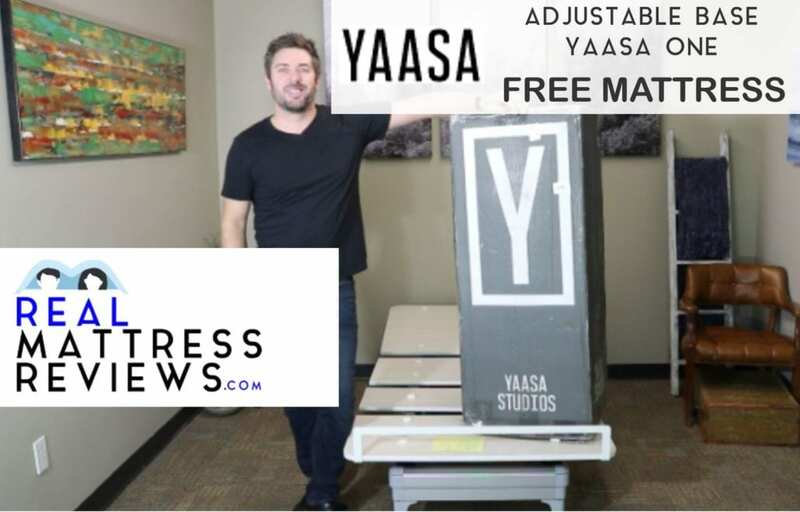 Based out of Santa Barbara in California, Yaasa Studios is a company that is dedicated to producing high quality sleep products, from mattresses to blankets to adjustable bed bases (they even have a line of high-end candles that promote relaxation). Their mattress in particular has become increasingly popular recently thanks to its special hybrid design that provides both comfort, support, and responsiveness..
Want a hybrid mattress. If you want the body-contouring comfort of a memory foam mattress combined with the support and pressure relief of a spring mattress, then this mattress would be a great choice fro you thanks to its innovative hybrid design. Want the option to choose between firm and soft. The Yaasa mattress comes in two varieties: firm and soft. If you need a mattress that contours to your body and provides plush comfort, you can choose the softer option, which rates as a 4 on a standard 1 to 10 scale of firmness. Alternatively, you can select the firm option, which provides greater support and responsiveness and rates as a 6 on the standard firmness scale of 1 to 10. Want a mattress with a long warranty. The Yaasa mattress comes with a limited warranty that lasts for ten years; this decade-long warranty shows that the company is willing to stand behind the high quality of their product for many years in order to ensure that you have a good experience with your hybrid mattress. Want good temperature regulation. Thanks to the layer of individually pocketed coils, the memory foam layers that are designed to be more breathable than traditional memory foam, and the TENCEL cover with its moisture-wicking capabilities, this mattress is a great choice if you want something that is good for temperature regulation and heat dissipation. Prefer pure memory foam. This mattress is a hybrid, so if you want a totally plush and body-contouring experience like that of a pure memory foam mattress then this might not be the best choice for you; it is notably firmer and more responsive than a traditional memory foam mattress, although the soft option is admittedly closer in feel if you really want to try the Yaasa instead of a pure memory foam mattress. Don’t want to spend a lot of money on a mattress. Everyone who buys this mattress agrees that it is well worth the high cost, but even so it’s probably not a good choice if you’re on a tight budget and can’t afford to spend a lot of money on a new mattress. The Yaasa is a 12-inch thick hybrid mattress, meaning that it incorporates both foams and coils. When purchasing a Yaasa hybrid mattress, you have the choice between the soft option and the firm option. Whichever option you choose, you can rest assured that your mattress will provide a luxurious sleep experience. If you select the softer option, your mattress will still be a hybrid that is twelve inches thick, but it will be plusher and designed more with comfort in mind. This soft option is considered to be a better choice if you’re a side sleeper or anyone who wants a softer sleep experience where you sink into the mattress a bit (especially around areas like your hips and shoulder). On a standard firmness scale of 1 to 10 (with 1 being soft and 10 being firm), the soft option for the Yaasa mattress rates at about a 4, making it a good choice if you want something plush that contours to your body for gentle and relaxing support and pressure relief. The firm option for the Yaasa mattress, meanwhile, features the same coil system as the softer option but features firmer foams for the tops layers. As a result, this firmer version of the Yaasa mattress rates at approximately a 6 on the standard firmness scale of 1 to 10. This makes it a great choice if you want a need something a little firmer; it’s especially beneficial for anyone who sleeps on their back or stomach and needs more support. Additionally, the firm option is more responsive to movement, so it allows for easier movement and changing of position when compared tot eh soft option which sinks in a little further when you sleep on it. Your mattress is made to order, meaning that it is constructed brand new out of high quality materials once you’ve made your purchase. Then, your mattress is compressed, packed into a box, and shipped directly to your front door. Furthermore, it’s made entirely in the United States so you don’t need to worry about your mattress spending extensive amounts of time compressed and vacuum-sealed because it’s coming in from overseas; instead, you can rest easy knowing that your mattress was made here in the USA and will be delivered as soon as possible. In any case, once your mattress had been delivered the process for setting it up is also quite straightforward and simple. You might need another person to help you carry it inside your house and into your bedroom since while the box is fairly compact it is still rather heavy. Once you have the box in your room, all you need to do is unpack it and unwrap your mattress from the plastic it is sealed in. Because this hybrid mattress has a coil layer that features individually pocketed coils, you can rest assured that while the mattress is more responsive and supportive than a mattress made entirely out of memory foam there will be very little motion transference (the phenomena where movement in one part of the mattress causes vibrations that spread throughout the rest of the mattress and potentially disturb your sleeping partner). That being said, the softer Yaasa mattress option will probably be preferable to the firmer option if you really need motion isolation; the firmer version of the Yaasa mattress is more responsive to movement and a little bit bouncier than the soft option so vibrations travel farther than with the softer mattress option. Therefore, if you’re a light sleeper and are easily disturbed by vibrations caused by movement (thereto it’s your partner getting into or out of bed or even just shifting position), you should consider purchasing the soft Yaasa mattress rather than the firm one. Because the Yaasa mattress is made out of only high quality materials that are guaranteed to be safe and low VOC (meaning that they contain very few, if any, volatile organic compounds and as such have minimal emissions), there will actually be very little in the way of off gassing fumes. Furthermore, your mattress is made to order right in the United States, meaning that it spends very little time compressed. Therefore, what fumes do occur during the unpacking the process are likely to come from the wrapping plastic rather than the mattress itself. That being said, if you are incredibly sensitive to these odors you should give your mattress some time (perhaps an hour or so) to air out before using it; since it will likely need at least an hour or two to fully regain its shape and size after being unpacked anyway, this shouldn’t be much of a hindrance to you. Thanks to the layer of individually wrapped spring coils and multiple layers of firm and supportive foams used in this mattress, it has a consistent feeling of support throughout its entirety, including the edges. Therefore, you will receive just as much support sleeping on the edge of the mattress as you will when sleeping in the center. That being said, if you use the edge of your mattress for sitting, you might notice that it sinks in a little bit more. Even so, the edges of this mattress are still firm ans supportive enough to bear your weight for brief periods of time (such as when you’re getting in and out of bed) without any negative consequence for your mattress’s integrity and durability. The exact construction of the Yaasa mattress ill vary depending upon whether you select the softer option or the firmer option. Each mattress will be twelve inches thick and feature the same TENCEL cover, but the arrangement of the layers will be different depending on the firmness level. The softer version of the Yaasa mattress has two inches of 2.7lb density Infinity Foam as the top layer, followed by an inch of hybrid foam as the second layer. Then comes the Quantum Coil System which is eight inches thick and helps to give this mattress its excellent support and responsiveness. Finally, there is a bottom layer composed of an inch of 1.5lb density Base Foam. The firmer version of the Yaasa mattress has a top layer made up of an inch of 2.7lb density Infinity Foam, followed by a second layer made up of two inches of Latex Foam. The third layer features the same eight inch Quantum Coil System as the other version of the Yaasa mattress. Finally, this mattress also features a bottom layer made out of an inch of 1.5lb density Base Foam. 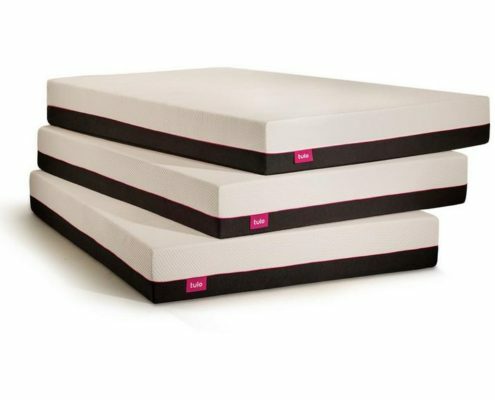 The Tulo Mattress will work great on any solid surface. The floor, platform slats, boxspring/foundation and they now offer an adjustable base as well. Because this mattress is a hybrid mattress that features both memory foam and individually pocketed coils, it is a good choice if you want something that is good for temperature regulation. This is because the coil layer gives the mattress ample space for heat to dissipate, rather than lingering in the upper foam layers of the mattress; this helps to lessen the overall heat retention of the mattress. The coils also allow the mattress to have better ventilation and air flow, which also helps with heat dissipation. Additionally, this mattress also has a top layer made out of Infinity Foam, which is specially designed to be more breathable and retain less heat. This mattress also has a layer of latex, which is naturally aerated to allow better ventilation. Furthermore, the entire mattress features a TENCEL blend over; this cover is incredibly breathable and also has moisture-wicking capabilities, which can further help to reduce heat absorption as well as heat retention. 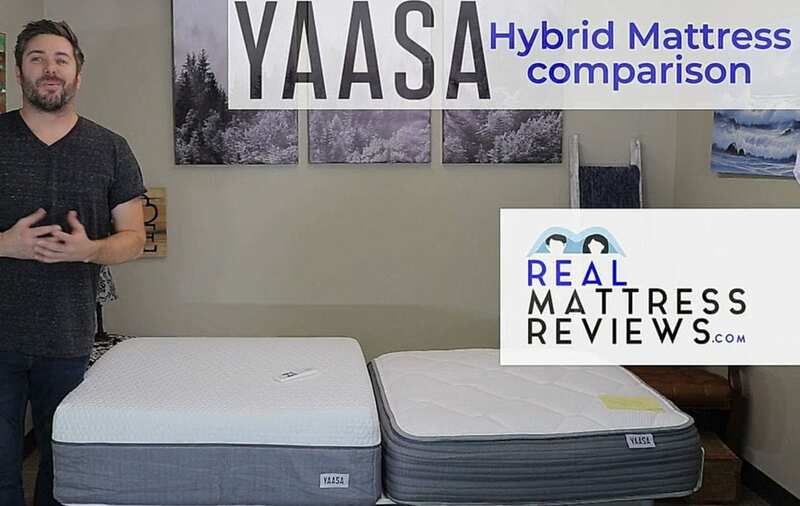 Ultimately, if you’re looking for a high quality hybrid mattress that excels in regards to temperature regulation while still providing you with both comfort and support, then the Yaasa mattress is definitely a good choice for you. 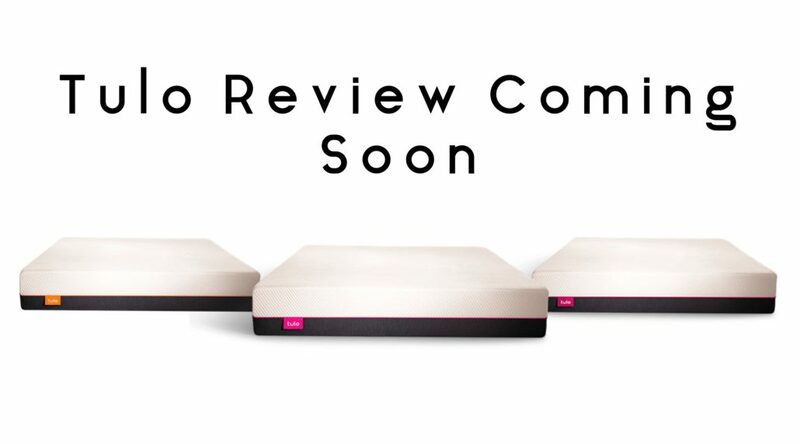 Although we didn’t film the Tulo yet on a base you can be sure it will work fantastic on an adjustable base. The Yaasa mattress comes with a trial period of a hundred nights (just over three moths) so you should have plenty of time to decide whether it’s the right mattress for you. The Yaasa mattress (both the firm option and the soft option) come with a ten year warranty that will cover you in case you encounter any defects in the product or experience any issues that compromise your ability to use and enjoy your mattress and the sleep experience it’s designed to provide. If you have any serious concerns, all you need to do is contact the Yaasa customer service department and they will work hard to resolve the situation to your satisfaction. 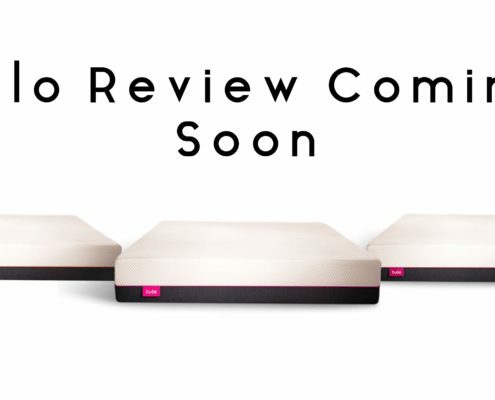 We all know that reading the reviews of other customers is an important part of the decision-making process when it comes to choosing a new product to try; reviewing other peoples’ feedback is especially critical when you’re making an investment in something as important (and as expensive) as a new mattress. With this in mind, we’ve collected here for you some of the more informative reviews pertaining to the Yaasa mattress and its qualities. “We are delighted with our new queen mattress! Since we live close to Santa Barbara, we stopped by Yaasa Studios to check out the product before we made our purchase. Johannes and Joey were friendly and so knowledgeable about the products they have designed. We not only felt confident that the mattress we selected would meet our needs, but we were impressed with the vision and integrity behind the company. Definitely 5 stars!! ” – Cindy. “This is by far the most comfortable mattress my wife or I have ever slept on. For that matter my kids and my dog love it too. We went with the “medium soft” and it is amazing. I should have purchased this mattress long ago. The online purchase was easy and the shipping and set up was a snap.” – Patrick. “The past week sleeping on my new mattress has been awesome and frustrating at the same time. The mattress is very comfortable, just what I need and for the first time in years I have been waking up without back pain. The frustration comes because I have obligations that require me to leave that comfort daily! All I have want to do is sleep in and take full advantage of my bed, but work/life keeps pulling me out. Get yourself one in your life!” – James. “I bought my first ever new mattress from Yaasa Studios and I couldn’t be more impressed by everything from customer support answering my questions about delivery to current promotions. Not to mention the bed is just downright comfortable. I grabbed the queen sized medium firm because I sleep on my stomach and it’s absolutely incredible.” – Max. “Buying a mattress online can be kind of scary, but Yaasa made the process convenient and instilled confidence in my purchase. It was so much easier than going into a mattress store where it can be really overwhelming with added pressure from salesmen! It’s easy to setup and the mattress is so comfortable. The design and materials feels so luxury and it’s nice to support a company with an eco-friendly mission. There are even handles on the mattress cover (they thought of everything!). Yaasa treats customers as individuals and not just a number (like with some other online mattress stores). Overall, I would highly recommend! ” – Honey. Ultimately, the Yaasa mattress is a good choice if you want a hybrid mattress made out of high quality materials that will provide you with both body-contouring comfort as well as firm support and excellent pressure relief. It’s also a fabulous choice if you want something with great edge support, motion isolation, and temperature regulation.